Every parent dreams of sending their child to college. However, not every parent knows how they are going to pay the high costs of getting an education. Because tuition prices have risen at an exponential rate over the past decade, it is important to start saving your money for the future as soon as possible. One of the more common and popular methods of putting money away for school is through a 529 Savings Plan. There are a variety of different versions of the 529 Savings Plane, but they all work in much the same way. You make deposits into a Qualified Tuition Program (QTP). Then it lets you take that money out for anything related to funding an education at a qualifying school. 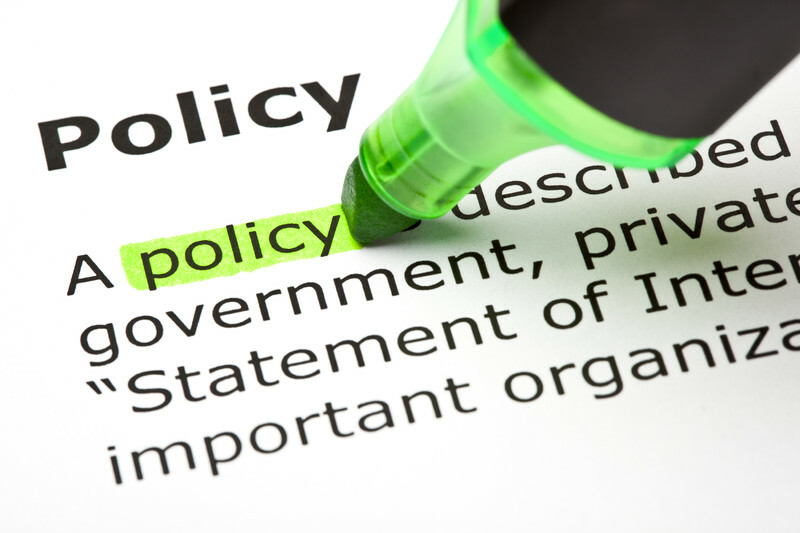 Just like any major financial instrument, there are a battery of rules and regulations. They outline the various investment options available, contribution limits, plan arrangements, and other prohibitive factors. The majority of these plans allow you to contribute small increments at the start and then increase your deposit amounts at your discretion. However, some of them restrict how often you are able to adjust your plan. At this time, there are only 30 states that offer these types of savings accounts to the public. Should your child opt not to pursue a college education that money is still there for you to do with as you wish. However, withdrawal is still bound by the rules of the plan and if the money is taken out for use on anything that is not related to education costs, you will have to pay the penalties on that money. We are getting ahead of ourselves here, let us step back for a moment and start from the very beginning. 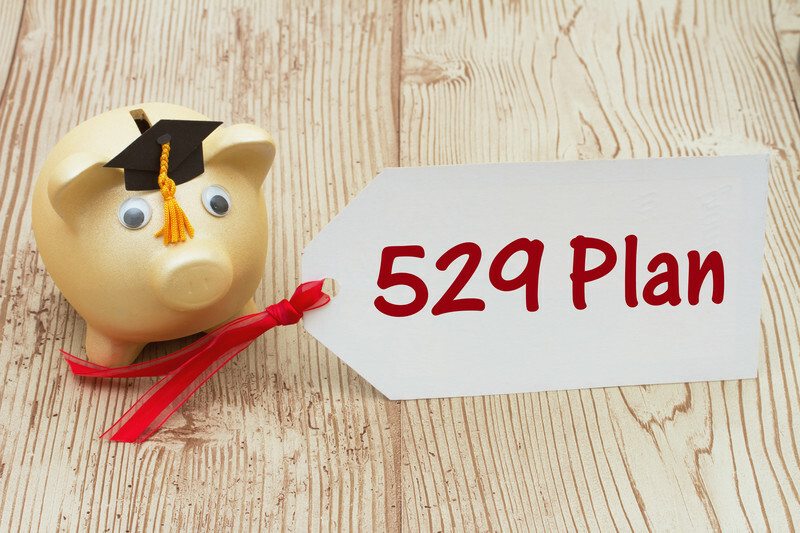 Read on to learn more about the many types of 529 Savings Plans, and the ways in which they help you pay for your child’s college education. The main thing to understand about these types of college savings accounts is that they are exempt from federal taxes. That is one of the main reasons why so many people are opting for this type of strategy to cover high tuition costs. It is an option that has been available for a little over two decades. The 529 plan was implemented in 1996 and it is named after Section 529 in the federal tax code. Anyone over the age of 18 may open one of these accounts for the benefit of a dependent such as a child, grandchild, or some other younger individual who plans on attending college. Adults may also start saving through a 529 account for their own educational benefit. These 529 plans typically come with state tax benefits for residents who live within one of the states that currently offer them and have an income tax. Depending on the state, the contribution limits on this type of account and these are typically capped between $300,000 and $500,000 on an annual basis. In the event that you reach the maximum deduction for any calendar year where taxes are concerned, it is rolled over into consecutive years afterward. If you decide that you would like to open a 529 Savings Plan account, there are two choices available to you. The prepaid plans and savings investment plans are explained below. 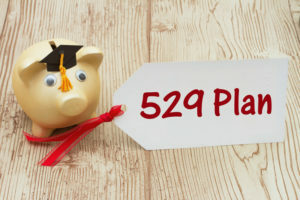 The theory behind these types of 529 plans is that once you open a prepaid 529 Savings Plan account you are locking in the cost of tuition now, instead of paying what it costs down the line. Locking in those prices at the current amount help save you a lot of money in the future, since tuition costs are only going to rise each year. If you start saving for a child’s education when he or she is just a few years old, you will pay far less than what tuition will cost 15 or 18 years from now. In turn, this locks in a much better price. At least that is what prepaid 529 plans were designed to do. Unfortunately, the number of states offering prepaid 529 accounts has dropped. It went from as many as 18 states a decade ago to just over half that number at 11 now. The reason is that many of these states did not expect the costs of college to rise so high in such a short period of time. Many of the states that have canceled the program are still servicing existing prepaid 529 plans. However, they are no longer accepting new enrollees. For those remaining states that are keeping the Prepaid 529 Savings program alive, there are three versions of it still available. The first of these is a contract plan which works in the traditional manner that a 529 was developed to accomplish. It gives account holders a way to pay tuition costs at the current rate, ahead of time. The second one is a unit plan in which the money you save is dedicated to paying for one segment of the costs for one semester, or for one part of the year at a public university. The unit is typically equal to a percentage of the annual tuition costs. The third type is a voucher program that differs slightly from the others in that it is offered by the college of your choice instead of the state. It’s basically a coupon that can be redeemed at the issuing college in exchange for a discount on tuition costs. The biggest drawback to going with a prepaid 529 is that the money is only applicable to public institutions located within the state where the account was opened. Another less advantageous side to prepaid plans is that private universities may end up costing less in the long run than attending a public college. These plans are more traditional methods of investment than their prepaid counterparts. The money in these plans can be used for paying tuition at just about any accredited university or graduate school. The funds may be applied to trade schools as well. Additionally, they can go toward paying tuition costs or any other educational necessities from textbooks to room and board. Any students enrolled in foreign institutions who are also receiving federal funds for financial aid are eligible to use this money toward paying for tuition. Withdrawals must be applied to purchases or transactions related to education. Also, any monies from a 529 Savings Plan account applied toward unauthorized expenditures are subject to financial penalties. 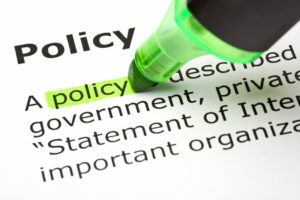 Every state has a menu of plan options that are available, as well as nationwide versions that are good for use at any school in the United States. Those residents who live in states without an income tax are urged to explore all options both within and outside of that state. Many of these plans do come with applicable fees and maintenance costs. They also include third party fees in the event you use a financial advisor to purchase your 529 Savings Plan. But these are offset by the tax deduction to which you are entitled if you are eligible to claim one. When you contribute to a 529 Savings Plan, the money is not just sitting there scraping up some meager interest every year. Instead, that money is working for you as part of any number of mutual funds. Selecting your plan is typically based on certain factors pertaining to these mutual funds, and there are two schools of thought that go into that choice. For the first strategy, the assets in which you invest become less risky the closer the beneficiary of the 529 account gets to enrolling in college. Therefore, in this instance, your fund begins putting more of a focus on stocks and then. Then, over time, the emphasis is put on cash and bonds. Investing in stocks involves greater risk but also yields higher returns. Hence this allows for taking a more aggressive approach before moving away from those risks as the beneficiary turns 18 years of age. Instead, investments allocate more money into bonds and cash, which have less market volatility. Going this way with a savings strategy takes more of the burden off of the owner of the 529. This makes it easier to decide where his or her money should be placed in their portfolio. It puts those decisions in the hands of the plan. The alternative is to take a static approach to your financial investing. That means holding on to the same investments and funds, and allocating a fixed amount of money into them over a determined period of time. There is less risk in this case, so it is not as aggressive a strategy for saving for college. Just be aware that the name of the game is risk. Your goals are not the same as someone else’s. Consequently, your ability to tolerate risk is often predicated on those goals and plans for the future. In this case that means college. Therefore, the types of investments that any fund is targeting for the purposes of putting your money to work for you need careful consideration and research. There are many components that comprise the various different mutual funds available as part of a 529 Savings Plan. As we mentioned, stocks are a common starting point for most plans since they bring about a greater return on investment. But they are the riskier option over alternative investment vehicles such as bonds. Though bonds are typically steadier, some of the high-yield versions act more like stocks in their unpredictability and higher rate of return. The cash component of a 529 Savings Plan comes as guaranteed and principal-protected funds that are backed by insurance. You will also find a range of money market fund choices which are mutual funds that put their focus on debt securities for the short-term. These usually include T-bills and commercial paper investments which allow for major corporations to borrow money for the purposes of meeting their debt obligations. These types of funds are aimed at investors who want to earn a return on their money while investing in financial instruments that they know have greater stability. For these investments, your cash is as safe and secure as if you made a bank deposit. That security does come at a price, however, as these accounts are unreliable in keeping pace with the rate of inflation. Therefore, your rate of return will be less than what you would expect from putting your money into funds that work with stocks and bonds. Every 529 Savings Plan is operated by a what is known as a Program Manager. Depending upon the type of plan you have opened, that could be the issuing state or it might even be the financial entity or other company that is offering this type of savings account. The money goes into a custodial account which has your name on it. In turn, this keeps your money fully protected should the state or the managing entity run into some kind of financial trouble in the future. Most Program Managers avoid putting all the money into a single mutual fund. Also, they typically shy away from any types of investments that do not have a proven track record. Before you put any of your money into a 529 Savings Plan, contact your Program Manager or financial advisor and discuss the options of your particular program, with respect to the allocation of your money, and the levels of risk involved in those investments. One of the questions that many prospective 529 Savings Plan account holders ask is whether to go with a plan that is offered within their state or a plan that is based in another one. The prevailing notion for making this decision lies in whether or not your state has an income tax deduction available to anyone contributing into a 529 Savings Plan program. If you live in one of these states, take advantage of the incentive and open an account in-state to get the deduction. If you live in a state without income tax then this is no longer an issue to consider. All you really need to worry about are the kinds of fees and investment vehicles that are part of the 529 Savings Plan you wish to select. No matter which plan you choose, in-state or out, prepaid or not, any plan out there is going to come with miscellaneous fees. Every plan is different. Therefore some of the most common expenses that you are expected to pay include management and maintenance fees, advisor fees, total asset-based fees and any applicable underlying investment fees. Your fees may vary depending on the type of 529 Savings Plan you choose. The funds that are managed more actively will typically cost more to own. Yet, there is some good news in that regard. Your in-state tax deduction offsets many of the fees that come with your 529 Savings Plan. In addition, depending on the type of plan you select, the issuing state or Program Manager might waive these fees for a number of contributing factors. These components include things such as setting up direct deposit as a way of funding the plan. It’s important that you ask about any applicable waivers that you are eligible to receive when you sign up. There are regulations that are enforced on both the federal and state level to govern these types of 529 Saving Plans. For instance, there are limits imposed on ownership of 529 Savings Plan, as there may only be a single account holder and a single beneficiary. Conversely, one person may own many different 529 Savings Plan accounts. Additionally, one individual may receive benefits from more than one account. This is under the condition that those funds do not exceed the state maximum when all of the money is tallied. Although there may only be a single account holder on any 529 Savings Plan account, more than one person may contribute funds into the account. Also, there is flexibility for changing beneficiaries on the account. This extends to the individual listed as the owner of the account if the current owner passes away. You do not need to have certain income to open or fund a 529 Savings Plan account. Additionally, the gift tax does not apply to money placed into a 529 Savings Plan. While you may be able to claim a state tax deduction on a 529 account, there is no such benefit on federal taxes. However, any money placed into a 529 Savings Plan account earns tax-deferred gains. In turn, you can potentially enjoy a higher yield on your cash, as opposed to putting it into a taxable brokerage account or similar investment vehicle. Withdrawals do not come with any taxes at the state or federal level, as long as the money is put toward education-related expenditures. As for the state income tax deduction, 529 Saving Plans available in the following states are a smart choice for saving on future tuition costs: Montana, Arizona, Kansas, Missouri, Pennsylvania and Maine. These states have income taxes, but do not offer the deduction for contributing to a 529 plan: California, Delaware, Hawaii, Kentucky, Massachusetts, Minnesota, New Hampshire, New Jersey, North Carolina and Tennessee. The following states do not have a state income tax, and therefore the deduction is not available: Alaska, Florida, Nevada, South Dakota, Texas, Washington and Wyoming. The various states have different sets of rules when it comes to maximums on your contributions to any one beneficiary through a 529 Saving Plan. That maximum holds true no matter if the money comes from one account or multiple accounts. Once a maximum limit has been reached, the applicable 529 accounts to that beneficiary will not accept any further deposits until the next calendar year. As previously mentioned, the limits can range between $300,000 and $500,000 for each named beneficiary, however, in order to find out what the exact number is for your state, you need to ask your advisor or Plan Manager for clarification. There are not any restrictions or requirements for withdrawing your money from the account by a specific deadline or at a certain age. Traditional savings investment 529 plans differ in that regard from prepaid plans which come with an established time frame for withdrawal. The other great thing about a 529 Saving Plan is that you can switch over from type of plan to another once a year without taking on any penalties or taxes. The exception to this is if you change from an in-state to an out-of-state plan. You will be charged for conducting such a transfer in most states. Some state plans come with grant programs and scholarships where low-income families who opt-in to a 529 Savings Plan are eligible to receive some assistance. In some states, families can apply for a seed money contribution toward newborns who are the beneficiary on an account opened before that child’s first birthday. Eligibility has no basis on your income. There are also grant programs available where the state will match contributions made by account owners from low and middle income families. The only restrictions currently in place are that the owner and/or beneficiary must live within the state. There may be further limits or regulations as to how the money may be used upon its withdrawal. 529 Savings Plans are a very useful and helpful way to save for the rising costs of educational tuition. There are many options available to potential investors. In that regard, if college is in you or your child’s future, then these 529 Savings Plan accounts could be just the thing for helping you reach those goals. It is important that you explore all of the programs that exist in your state. Doing this can be of great assistance in determining which type of 529 Savings Plan account is right for your needs. Though prepaid plans are being phased out, there are still many states that offer them to consumers. Also, 529 investment plans can help your money grow through any number of investment strategies. Now it is time for you to do some homework. Then you will find out which is 529 Savings Plan is right for you. Always remember, it is never too late to get started with you savings.